Friday 12 October 2018, newbuilding 439 “Western Chieftain” was handed over to owner Frank Doherty, Kincasslagh, Co Donegal, Ireland from Karstensen Shipyard. 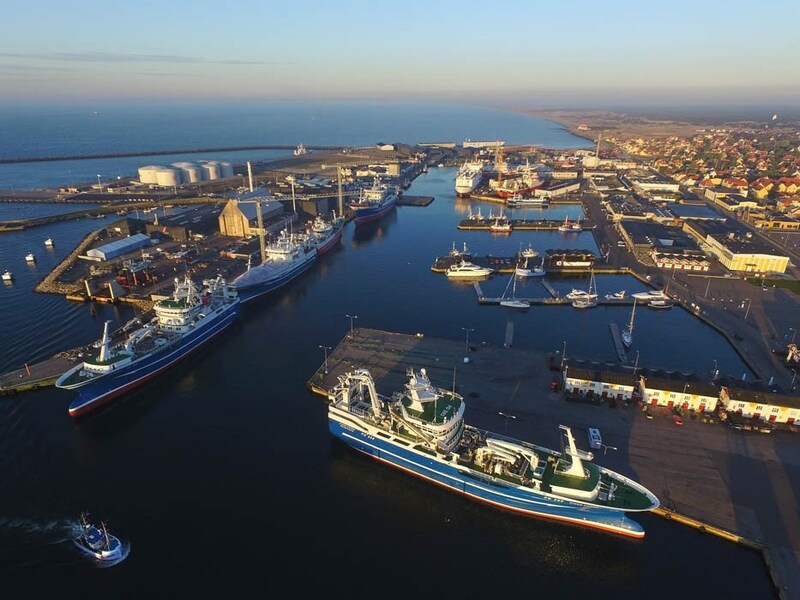 The hull for “Western Chieftain” was built in Nauta Shipyard, Gdansk, Poland, and arrived in Skagen in March, and after blessing of the vessel in Killybegs last Friday, the vessel is now heading North for the Mackerel fishing. 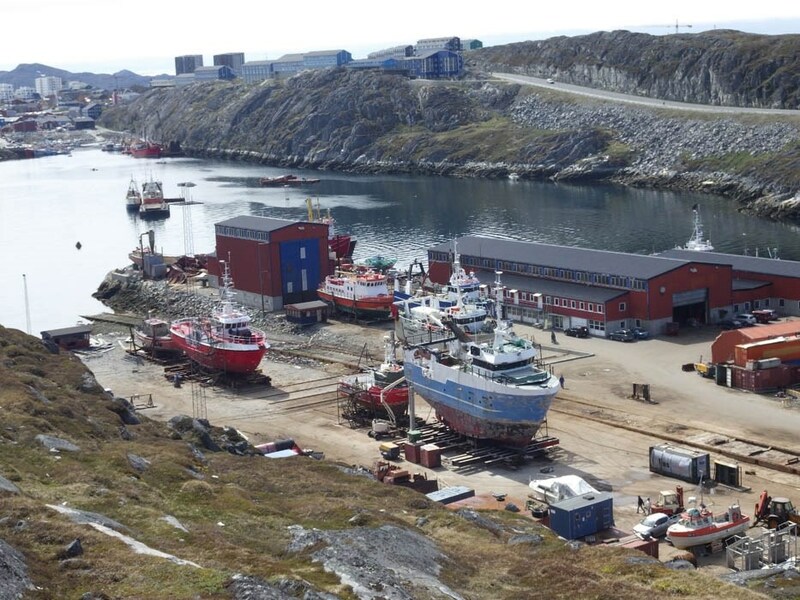 Owners Samherji Island and Sildarvinnslan, has confirmed orders for two identical 88,00 m Purser/ Trawler newbuildings with Karstensen Shipyard. #452 will be named VILHELM ÞORSTEINSSON and is owned by Samherji Island. #453 will be named BÖRKUR and is owned by Sildarvinnslan. Newbuilding 441 SERENE was named, launched and handed over to owners Serene Fishing Co. Ltd from Whalsay, Shetland on 25 August 2018 from Karstensen Shipyard. 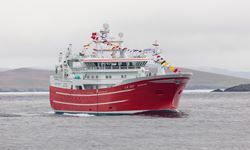 Serene is 82 m long and 17,20 m wide and designed by Karstensens Shipyard and is the first delivery by Karstensens to the Shetland Islands and the biggest fishing vessel registered in Shetland for the time being. Karstensens Skibsværft A/S udvider og investerer i skrogproduktion i Polen! Newbuilding 438 ”CLIPPERTON" was named, launched and handed over to owners B-C Pelagic AB, Donsö, Sweden on 5 May 2018 from Karstensen Shipyard. The hull for “Clipperton” was built with Nauta Shipyard in Gdansk, Poland and arrived in Skagen December 2017. 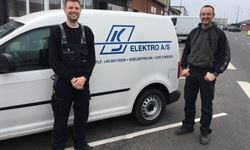 KS Elektro A/S overtager pr. 16. april MarineServicens aktiviteter i Hanstholm. Den daglige drift i afdelingen vil blive varetaget af Peter Svane. ​Newbuilding #437 THEMIS was named, launched and handed over to owners Ryberg & Lorentsson / Themis Fiskeri on 17th February 2018 from Karstensen Shipyard. 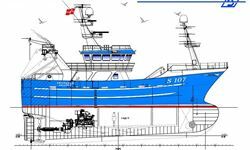 Owner Henning Veibust, Aalesund, Norway, has ordered a 80,00 meter purser / pelagic trawler. The vessel is to be delivered in February 2020. 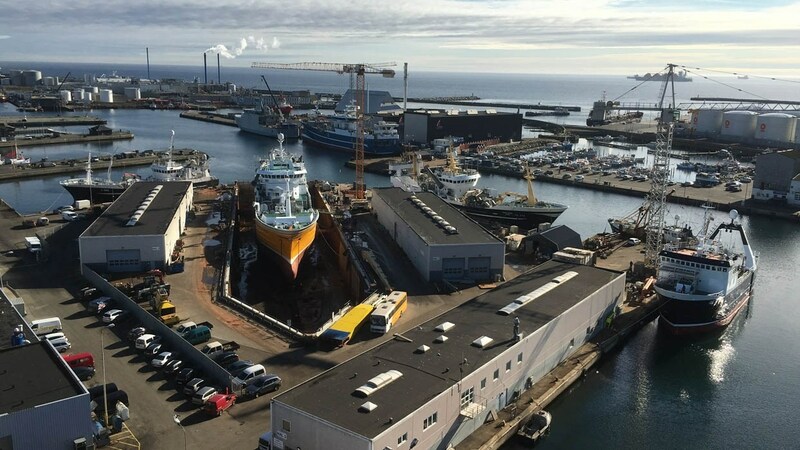 ​Newbuilding 436 “Rockall” was named, launched and handed over to owners Astrid Fiskeri , Skagen, Denmark on 15 December 2017 from Karstensen Shipyard. 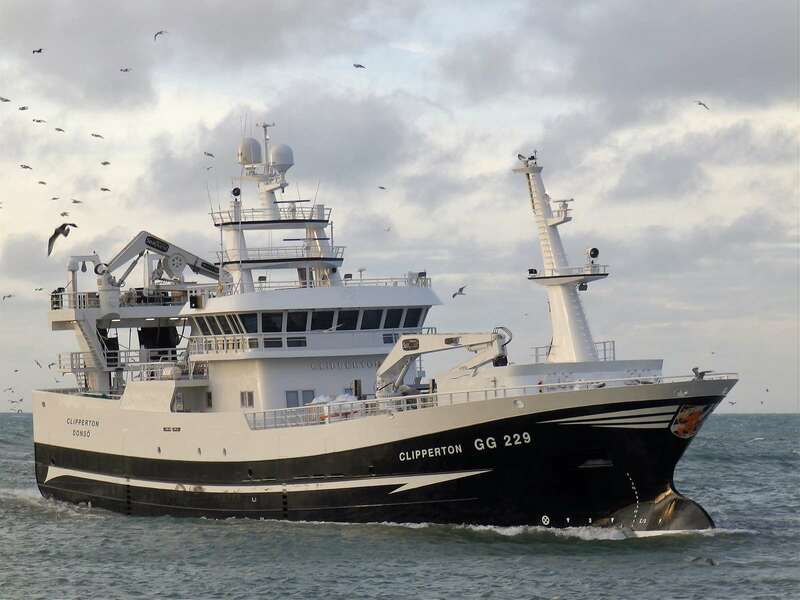 Owners Lunar Fishing Ltd., Peterhead, Scotland, has ordered a 80,0 meter purser / pelagic trawler. The contract was signed at Danfish in Aalborg Wednesday 11.10.2017. The 86,40 m pelagic purser/trawler - Karstensens Skibsværft A/S newbuilding 434 “VOYAGER” was handed over to owner VOYAGER Fishing Co Ltd on 1st October 2017. 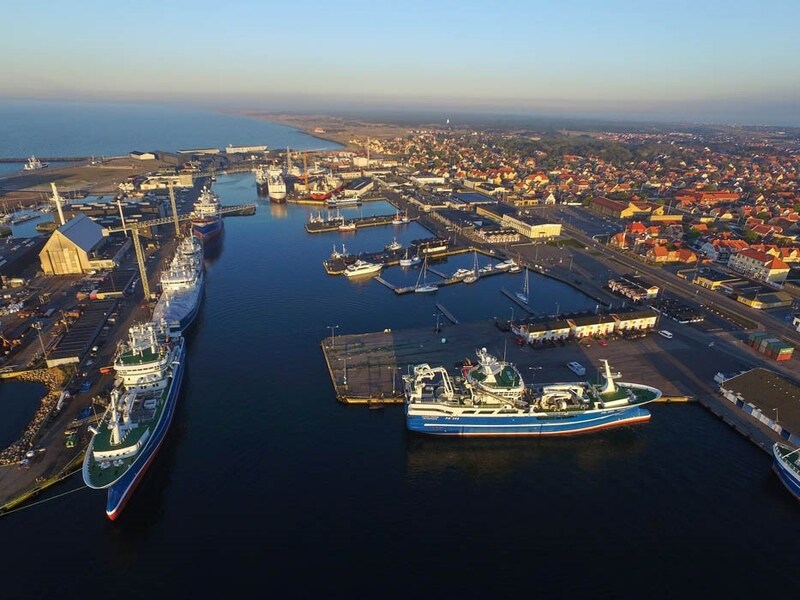 # 434 is the biggest vessel which has been delivered from KS in its 100 Years history The hull for “VOYAGER” was built with Nauta Shipyard in Gdansk, Poland and arrived in Skagen mid-April. Strand Senior AS og Karstensens Skibsværft har indgået kontrakt om design og bygning af en 75 m kombineret notbåd / trawler! Peter Hepsø Rederi og Karstensens Skibsværft har indgået kontrakt om design og bygning af en 79,75 m kombineret snurper / trawler ! B-C Pelagic, Donsö (Bristol og Clipperton) har bestilt en 63 m trawler. Skibet bliver tilnærmet søsterskib til #437. 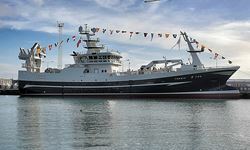 Frank Doherty, Premier Trawlers from Ireland, has ordered a new 51,90 m. pelagic trawler from Karstensens Skibsværft A/S. 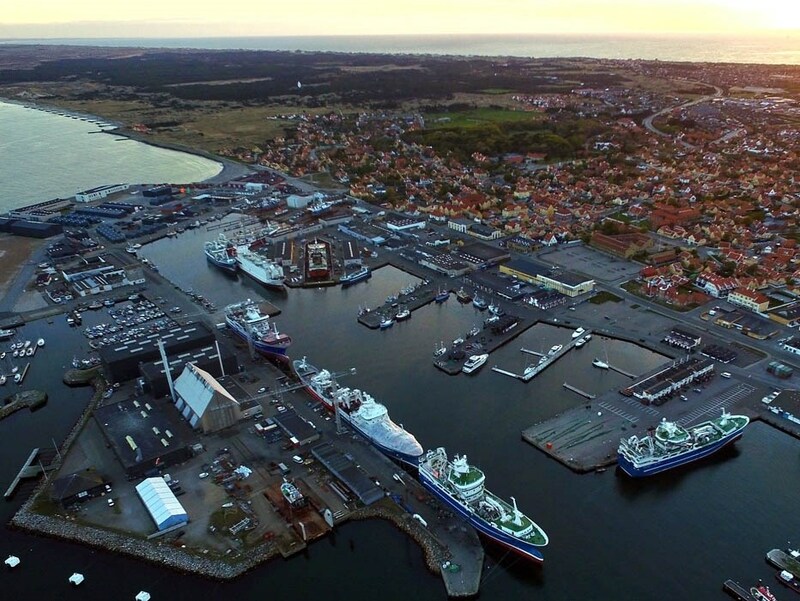 Themis Fiskeri A/S har bestilt en 63,00 m pelagisk trawler til levering i februar 2018. 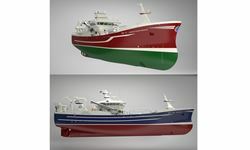 Owners Eshcol Fishing Company, has placed an order for a 69,95 m Pelagic Trawler newbuilding with Karstensen Shipyard. 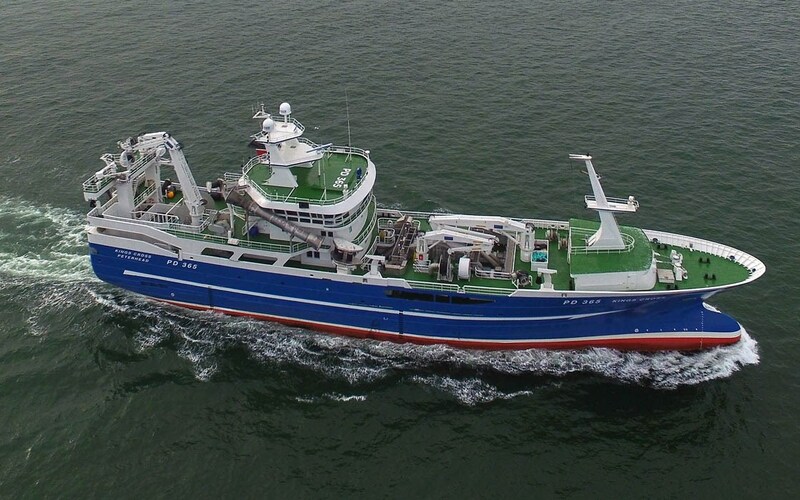 Arnold & Robert McCullough, Voyager Fishing Company Ltd. from Kilkeel, Northern Ireland, has ordered a 86,4 m. new trawler / purse seiner for delivery 15 August 2017. 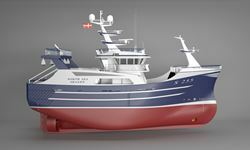 Joseph Doherty from Ireland has placed an order for the newbuilding of a 56,20 m pelagic trawler with Karstensens Skibsværft. 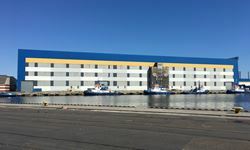 Owners Lunar Fishing Co Ltd / Wiseman Fishing Co Ltd, respectively Lunar Fishing Co Ltd, has placed orders for the newbuilding of 2 x 79,00 m Purser / Trawlers with Karstensen Shipyard. Karstensens Newbuilding no. 425 ASTRID was delivered for owners 19.07.2014. Owners Beinur has placed an order for a 78,00 m Purser / Trawler with Karstensens Skibsværft. Owners Ruth A/S has placed an order for a 87,80 m Purser / Trawler with Karstensen Shipyard. 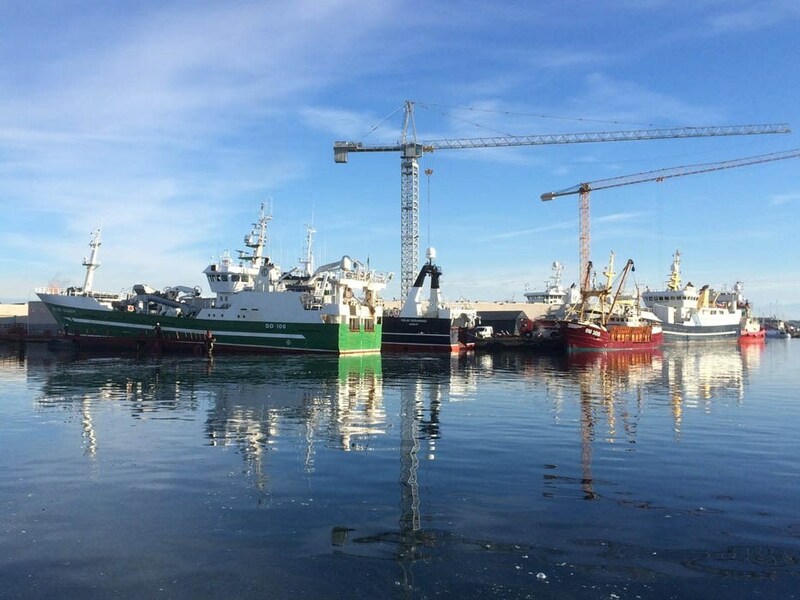 Karstensens Skibsværft has signed a contract with FD Premier Fishing, Frank Doherty, in Donegal, Ireland for the building of a 56,20 meter long pelagic trawler. Tuesday 19. September 2013, newbuilding nr. 421 "Asbjørn Selsbane", was handed over to owner Andreas Hansen. New Contract: Newbuilding No. 426 "HAUGAGUT"
Tuesday 12. February 2013, newbuilding nr. 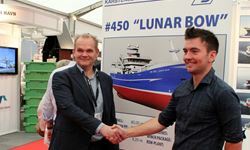 420 "Cattleya", a 69.90 pelagic trawler was handed over to Flemming Pedersen, Esberg, Denmark from Karstensen Shipyard. New Contract: # 419 "HAVSNURP"
The Johansson family of Roro (Sweden) / Skagen (Denmark) has ordrered a 69,95 m purser / pelagic trawler. The new vessel will be a hull sister to #423. Newbuilding no. 416 "Sanna" was handed over to Goverment of Greenland (Greenland Institute og Natural Resources) on 14th March 2012. Saturday 24 September 2011 newbuilding 415 from Karstensen Shipyard was named ”Gollenes”. New Contract: NEWBUILDING NO. 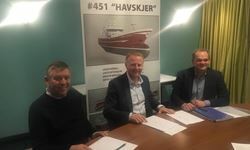 418 "LEINEBJØRN"
Owners Leinebjørn AS has ordered a new 67,50 m Purser / Trawler at Karstensen Shipyard. The vessel is scheduled for delivery 15 May 2012. New Contract: NEWBUILDING NO. 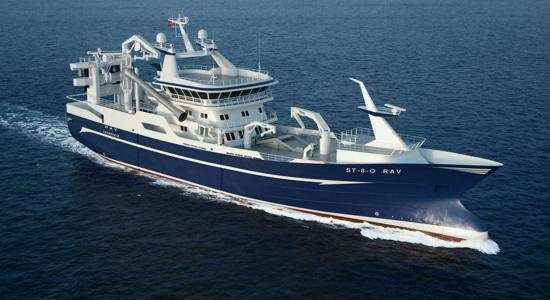 417 "PAULA"
Owners Doyle Fishing Company Ltd has ordered a new 62,60 m Pelagic Trawler at Karstensen Shipyard. The vessel is scheduled for delivery 1 November 2011. The hull for Karstensen Shipyards newbuilding 415 ”Gollenes” was sucessfully side-launched from the slipway at Northern Shipyard in Gdansk, Poland, Friday 18 March, at 11.00 am. 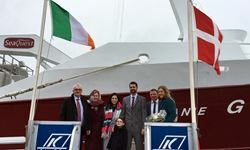 Thursday 1 December 2011, newbuilding 417 ”Paula” was handed over to owner Michael (Mick) Doyle, Killybegs, Irland from Karstensen Shipyard. New Contract: NEWBUILDING NO. 410 "VOYAGER"
Newbuilding no. 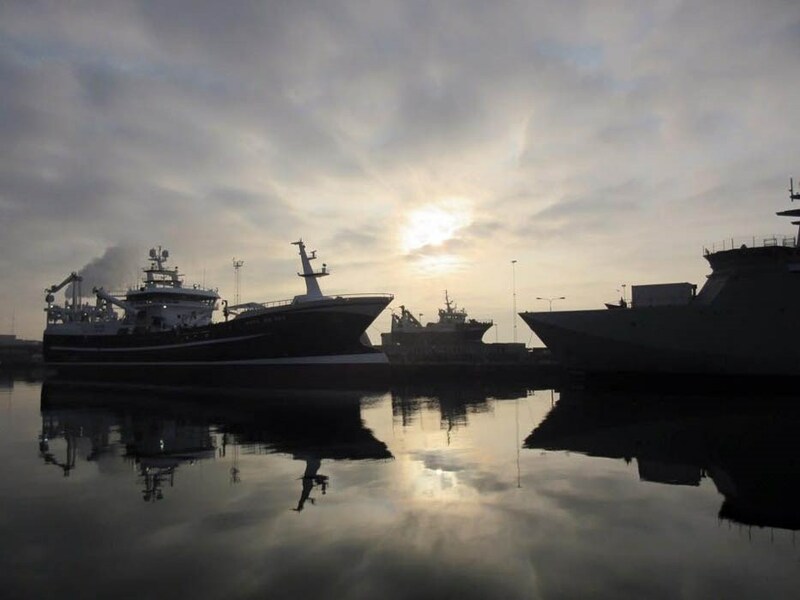 410 was handed over to Arnold and Ruburt Mc Cullough, Voyager Fishing Company Ltd., Kilkeel, Northern Ireland on 9th August 2010. 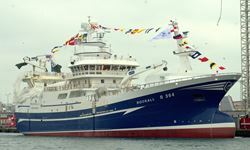 New Contract: REBUILDING/LENGTHENING OF "OCEAN LAURA"
Per Lund-Hansen and Kristian Barslund Jensen, owners of ”Ocean Laura” have awarded Karstensen Shipyard with a contract to lengthen and rebuild the 24m trawler R 231 ”Ocean Laura”. New Contract: REBUILDING/LENGTHENING OF "BORKUMRIFT"
New Contract: NEWBUILDING 192 "TRONDUR I GØTU"
Newbuilding no. 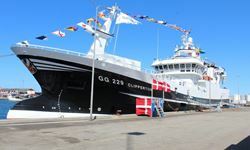 192 was handed over to Faroese Owner P/F Hvamm, Gøtu, Faroe Islands on 22th March 2010. The hull for the new "Trondur i Göte" arrived from Poland August 17th and the shipyard has now started the outfitting work. Newbuilding 406 ”Tobis” returns to harbor after having completed a successful technical trail in the waters of Skagen. Newbuilding no. 408 was handed over to Danish Owner Gitte Henning A/S, Owner Mr. Henning Kjeldsen, Thyborøn on 12th December 2008. Newbuildings 404 ”Harvester” and 405 ”Ocean Harvest” left Skagen Harbour on Thursday 3 July. Friday 26 June 2008 Zoë Stephen and Zara Stephen respectively named newbuilding 404 “Harvester” and 405 ”Ocean Harvest” in Skagen Harbour. New Contract: NEWBUILDING 408 "GITTE HENNING"
The hull for the new "Gitte Henning" arrived from Poland June 2nd and the shipyard has now started the outfitting work. Friday 30 May 2008 fishing trials was completed with newbuildings 404 (”Harvester”) and #405 (”Ocean Harvest”). S 255 ”North Sea” was handed back to Owners on 16 May 2008, after 4½ months conversion and rebuilding. Newbuilding no. 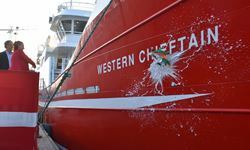 403 was handed over to Danish Owner Skagerak Fiskeeksport A/S, Man. Director Mr. Iver Espersen, Hirtshals on 5th November 2007. Jens and Erik V. Poulsen, Læsø has each ordered a 20m stern Trawler. 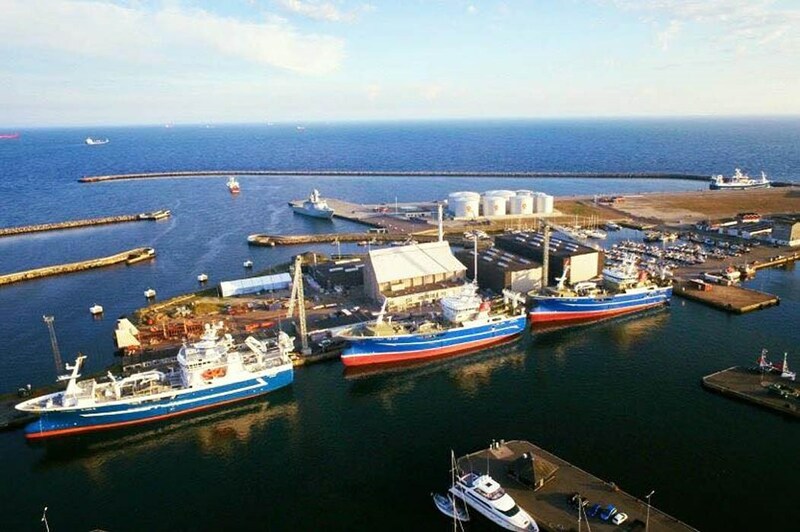 The hulls are due in Skagen in August 2008 and final delivery of both vessels are scheduled for January 2009. 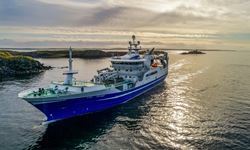 The Faroese company P/F Vardin has ordered an 81.6 m trawler from Karstensens Skibsvaerft A/S. Kjærsgaard Hirtshals A/S, represented by John og Niels Kjærsgaard, ordered a 39.95 m trawler from Karstensens Skibsvaerft A/S.